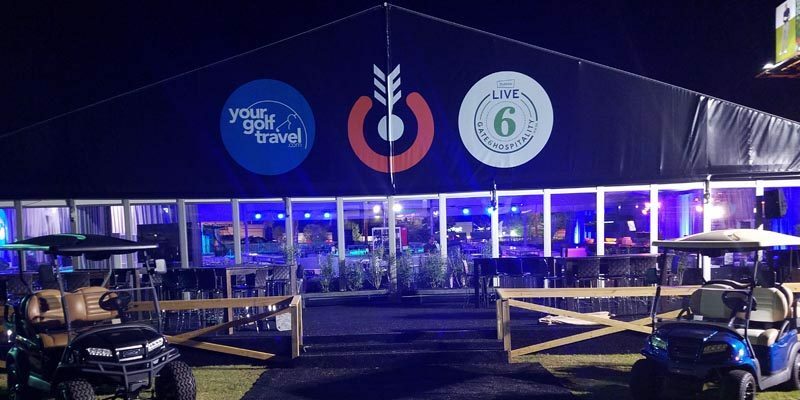 Bullseye Event Group has earned the reputation for providing the best hospitality for the biggest events in America. The Super Bowl unlike the Masters is an event that starts at 6pm so clients have all day to prepare for the largest sporting in the World. The reason we throw the Super Bowl Players Tailgate and do it so extravagantly is because there is a huge buildup all day for the event and clients can enjoy the over top hospitality on every level all day long for hours before the game. The Masters is a completely different event where Augusta National is the attraction. The gates open at 8am and clients line up as early as 6am to get out onto the course and pick their spot to sit for the day. While there is a need for hospitality it’s our opinion that our clients aren’t looking for traditional banquet style hospitality and our clients are not looking to spend $350-$400 for hospitality after a long day on Augusta National. 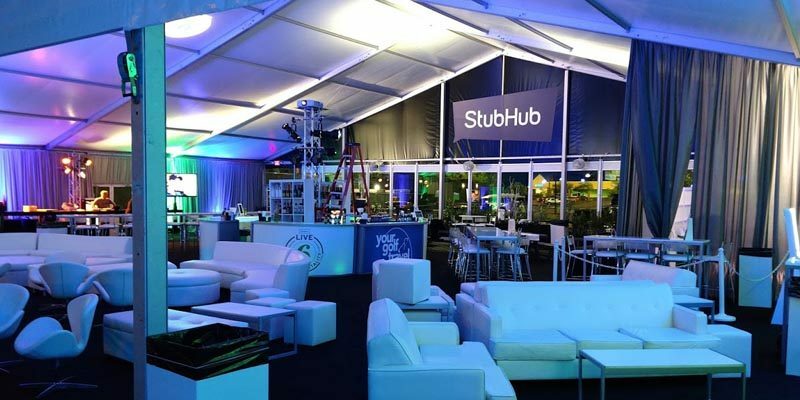 That is why we have brought our Major Event hospitality expertise and experience to the Masters and challenged ourselves to provide the highest level experience in our hospitality pavilion for $200. Our previous experience and knowledge tells us clients want a super comfortable indoor / outdoor option, incredible food, premium bottled beer and cocktails with friendly staff. 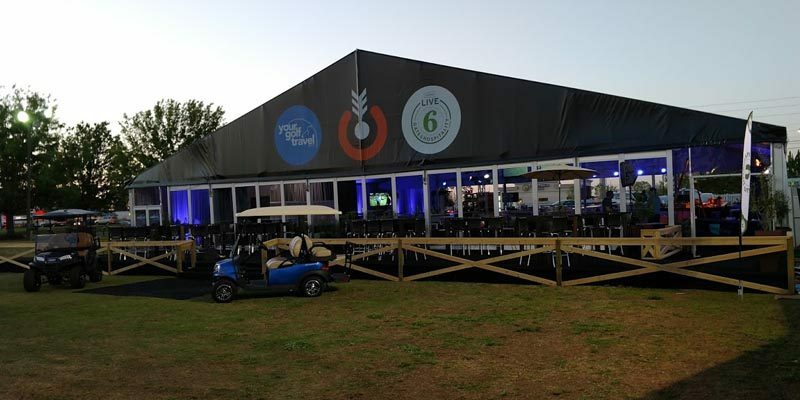 That is why we have inserted ourselves into the Masters Hospitality offering with Gate 6 Hospitality. Chef Aaron May is a top chef in America. He can prepare an incredible meal for 2 to 200 people. In order to be considered one of the best caterers in America you have to be able to create a meal for 2200 and have it as good as that meal for 2 to 200. This is something he can do and why Aaron is considered the BEST caterer in the US. Chef May is classically trained in Paris at the Ecole Ritz Escoffier and was inducted into the Arizona Culinary Hall of Fame in 2010 as a “Chef Extraordinaire.” He has been featured on Food Network’s wildly popular Diners, Drive-Ins and Dives and TLC’s Best Food Ever. His fiercely loyal fan base has recognized him with many local awards, including “Best Tapas” and “Best Speakeasy,” and he has also garnered attention from national publications such as Food & Wine, Condé Nast Traveler, Sunset Magazine and USA Today. He has a quick mind and a low threshold for boredom, which goes a long way toward explaining the restaurant empire he’s building. 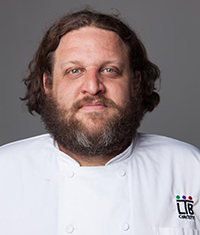 His passion for food and irrepressible creativity is why he is considered the best of the best in the food industry! 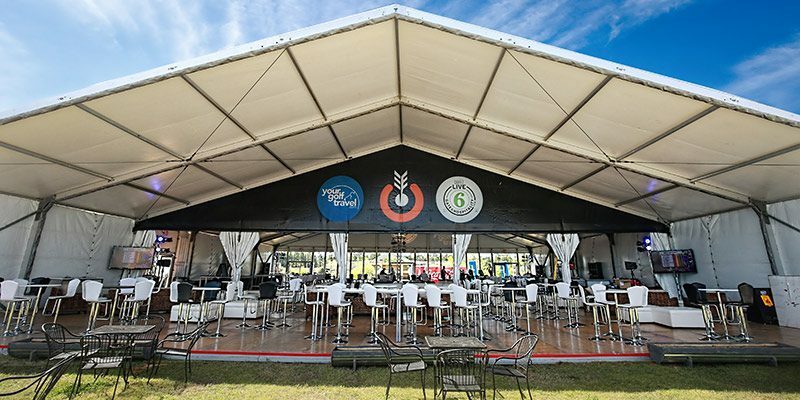 Augusta National’s recent closing of Berkman’s Road and the new entrance on Alexander road makes Bullseye Event Group’s Gate 6 Hospitality pavilion the most convenient hospitality option available to Masters attendees. 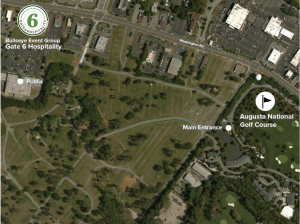 Boasting over 8,000 square feet of weather protected indoor pavilion opening up to an additional 4,000 square feet of covered outdoor patio seating makes this easy access for the new entrance to Augusta National and Alexander Road. Augusta National it’s a simple walk. Daily hospitality 7:00am – 9:00pm, with open premium bar and all you can eat food menu prepared by Celebrity Chef Aaron May. 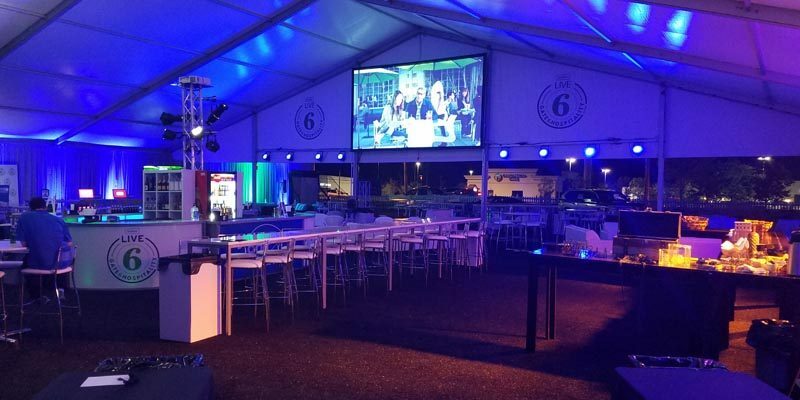 Guests will enjoy closed circuit Masters coverage on large screen HDTVs, in a lounge atmosphere with soft leather furniture to fill the hospitality Pavilion. 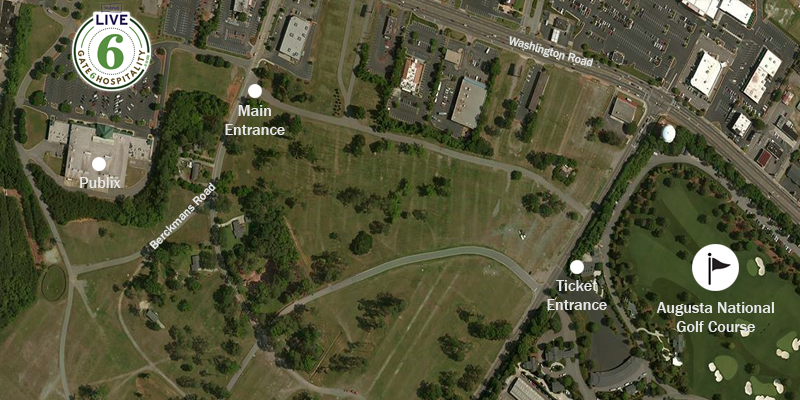 Hospitality Pavilion located on Publix grass lot on Washington Road & Alexander Road outside Gate 6 parking lot. Admission into the party is included! Guests will be enjoy an indoor / outdoor lounge atmosphere with soft leather furniture to fill the hospitality Pavilion.